You don’t build a brand by advertising, you build it by fostering customer advocacy, Philips’ VP and chief marketing officer, Damien Cummings, claims. 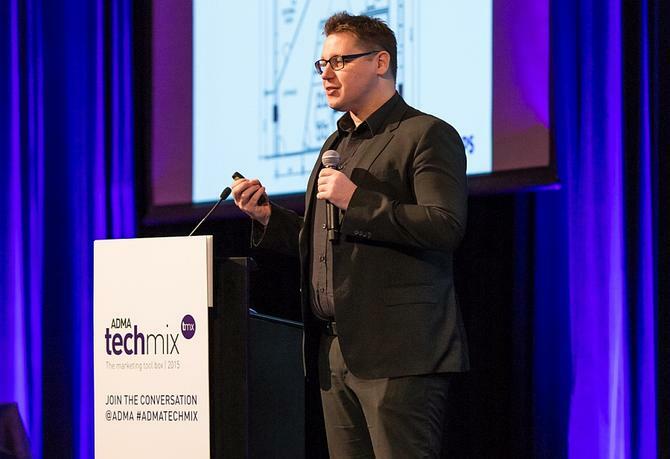 Speaking at the inaugural ADMA TechMix event in Sydney today, Cummings took attendees through how his team has developed the Philips Asia Digital Command Centre (PADCC) in order to power a new style of influencer-driven brand communications that relies on content, data and technology smarts for success. 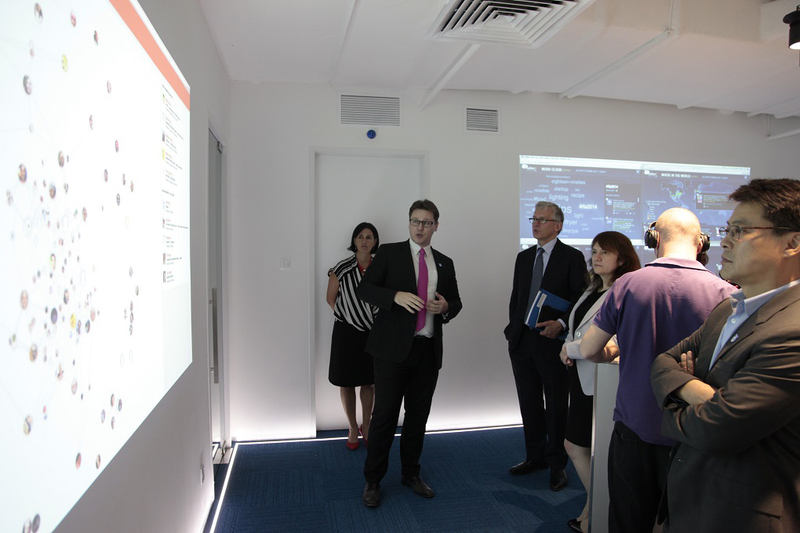 The PADCC was launched last September and includes a ‘data jockey’ booth where data analysts deep dive into customer data insights and project real-time intelligence on walls, powered by Salesforce Radian 6 and nine analytics tools. Analytics activities focus on post campaign analysis, real-time media optimisation and analytics, and social listening, Cummings said. To support social, Philips has also developed six competencies and seven layers of training for staff, as well as made changes to staff KPIs. More widely, all digital managers in each country have access to website insights powered by Adobe Sitecatalyst. 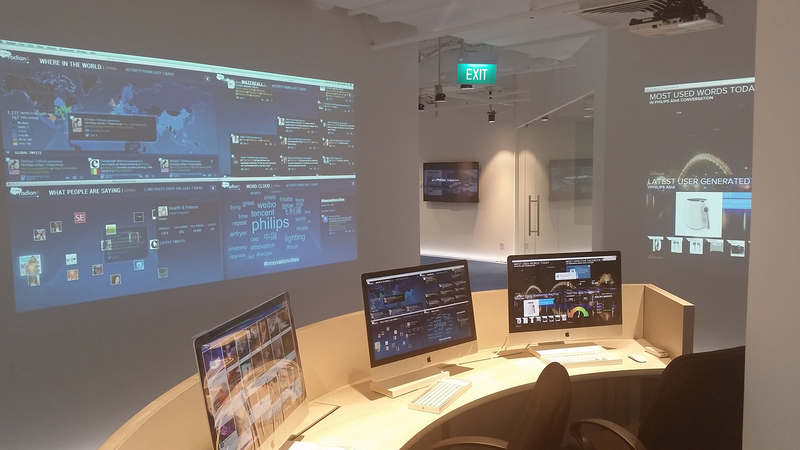 Alongside the data room, there is an editorial room for planning content, along with an integrated studio. In addition, an agency co-location area houses more than 30 representatives from Philips’ five media, PR and marketing agency employees working together with Philips staff. Cummings said his “always-on marketing” approach is based on owning conversations on key topic areas. The company has come up with five to focus on: Clean air; smart home; looking good, feeling good; ageing well; and LED lighting. The first pillar in achieving this strategy is listening and learning. “We put listening at the heart of everything we do, whether that’s social media, or traditional marketing,” Cummings said. Taking insights and planning content at massive scale, incorporating tens of thousands of pieces of content, is another focus. Cummings outlined Philips’ efforts to produce three types in varying quotas for each conversation: ‘Engrossing’ or more in-depth content; ‘engaging’ content including co-created, user-generated and branded content; and everyday content such as Tweets and blogs. Other tiers in the marketing strategy are to manage content in real-time, as well as amplify and distribute this primarily through influencers. “The challenge is how we create that in a way that replaces marketing,” he said. “What I mean by that is historically, we haven’t done great marketing – we’ve put large amounts of money behind an image and TV campaign. To get content out there, Philips is concentrating its attention on managed and owned platforms, Linkedin and Twitter. But rather than emphasise the platform, Cummings said it is working to build connections with 10,000 social media influencers to involve in ongoing Philips programs, as well as 100,000 advocates it can engage with through programmed interactions. Cummings said the impetus for change was re-emphasising Philips’ brand position as an innovation-led company. It’s a position Philips held in the days of radio, but one that is owned by the likes of Google, Apple and Samsung today, he said. With the recent restructure of the Philips business into two divisions – Royal Philips for health and consumer products, and Philips Lighting for lighting products – Cummings’ five conversation areas are being reviewed, but he claimed it was the idea that mattered. “These are thought leadership platforms to rally behind,” he said. All marketing aligns to these five conversations and teams are grouped accordingly. Cummings said a lot of work had also gone on in the background on service definition, processes and ways of working to support this structure. It’s also meant a complete rethink of how social fits into the marketing picture. Cummings claimed the social media landscape is “fundamentally broken”. “You only go to social is you’ve broken it or buying it,” Cummings claimed. “It’s all been about customer service. What the marketing team will focus on is managing content, fostering community conversations, monitoring and responding via hashtags, media buying, and growing its influence base, Cummings said. So the results so far? As an example, Cummings said it’s seen 7.6 per cent growth in traffic year-on-year around owned personal health content, and an 81 per cent increase in sales leads over the same timeframe. It’s also seen 85 per cent increase in Twitter fans and 41 per cent growth in impressions quarter on quarter. The new approach has also reduced marketing operation costs, including a 44 per cent decrease in costs for like-for-like campaigns, he said.